Universal has unveiled its latest Blu-ray plans and it looks like the company is harking back to 1997, with the launch of flipper discs. 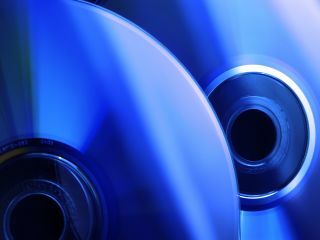 'Flipper' is a dirty word in DVD circles, as it harks back to a time when a movie would be spread over two sides of a DVD, meaning you had to flip over half-way through a film to finish watching it. Luckily there will be none of that this time around, as Universal is putting a DVD version of the movie on one side and a Blu-ray version of the same film on the other. In a time when movie distributors feel the need to give away a separate disc for 'digital copies', it does make sense that Universal would want to save on creating unnecessary discs but flipper discs, really? "Universal's flipper discs are the perfect way for consumers to future-proof their collections while still enjoying their favourite movies on all their existing DVD players," said Craig Kornblau, President of Universal Studios Home Entertainment – who probably never had the joy of using past flipper discs. "The flipper disc offers an easy way for viewers to convert to Blu-ray now or at any time in the future, confident in the fact they will be able to experience their home entertainment purchases in the highest quality picture and sound when they do." There's no UK release date for the discs (we're hoping never) but those in the US will be able to purchase the dual format from 19 January 2010, with titles like The Bourne Trilogy getting the flipper treatment.